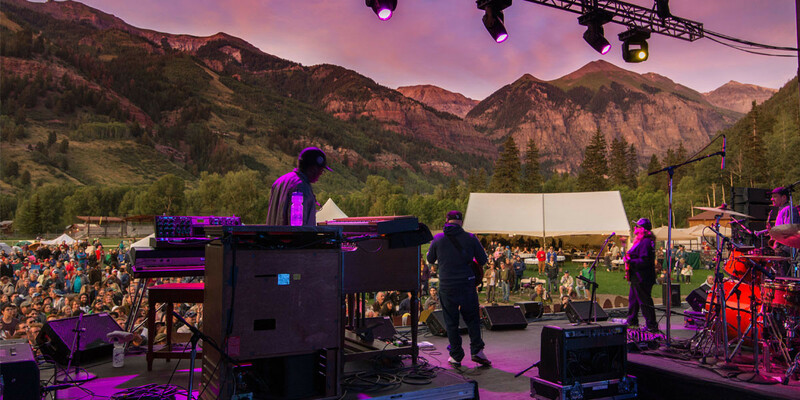 The Telluride Jazz Festival kicks off July 31—here’s who we’re excited to see. This year’s guest of honor is saxophonist and flautist Ernie Watts, who has notched a five decade professional career with such benchmarks as being a member of Charlie Haden’s Quartet West, touring with the Rolling Stones, recording with Dizzy Gillespie, Marvin Gaye and Frank Zappa, playing under Doc Severinsen with The Tonight Show Band, and laying down horn lines on the Grease and The Color Purple soundtracks. Dubbed “New Orleans’ finest brass ensemble” by Vice magazine, the Soul Rebels built a career around an eclectic live show that harnesses the power of horns and drums in the party like atmosphere of a dance club. When they aren’t on the road, their weekly show at New Orleans’ Le Bon Temps Roulé is known to erupt with the kind of contagious, shout-along musical mayhem that The Rebels bring with them wherever they perform. A bit less visible than George Clinton, Parker was no less instrumental to funk music. Born into a musically-charged family, Parker soon became a leading member of the funk empire. There are few artists alive today that more clearly define the continued history of funk and soulful jazz horn playing. Now touring under his own monicker, with what is described as the “tightest little funk orchestra on Earth,” Parker connects the history of funk to a more modern sound.